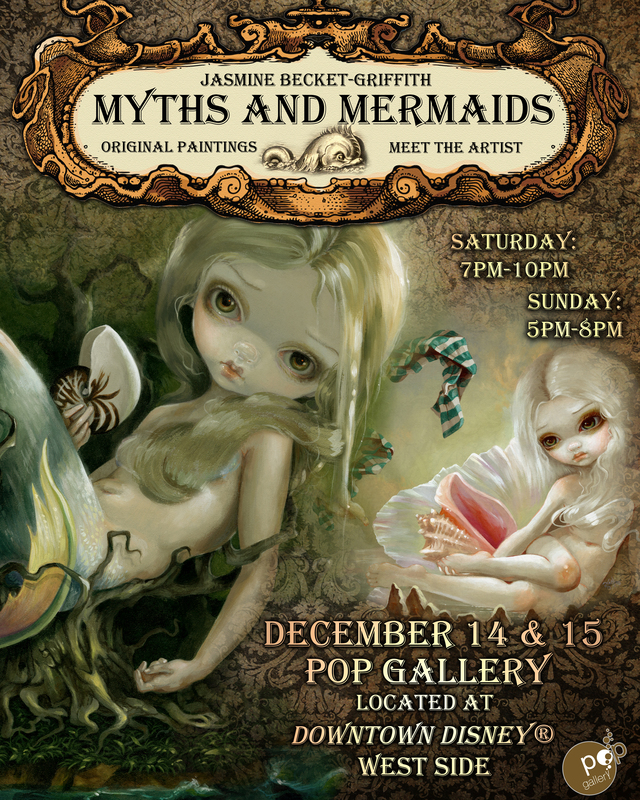 Myths & Mermaids opens tonight! I'll be at the gallery tonight starting around 7pm - definitely come by, say hi & enjoy all of my new never-before-seen paintings. A FREE event, all ages are welcome! Pop Gallery is at Downtown Disney West Side right by Cirque du Soleil and the AMC theatres, across from House of Blues. No park tickets are needed, and parking is free! Click HERE for more details about the event, and be sure to follow Pop Gallery HEREon Facebook for photos from the show, updates & more!